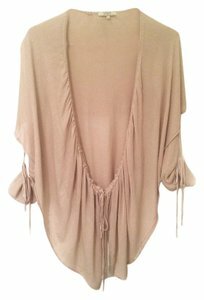 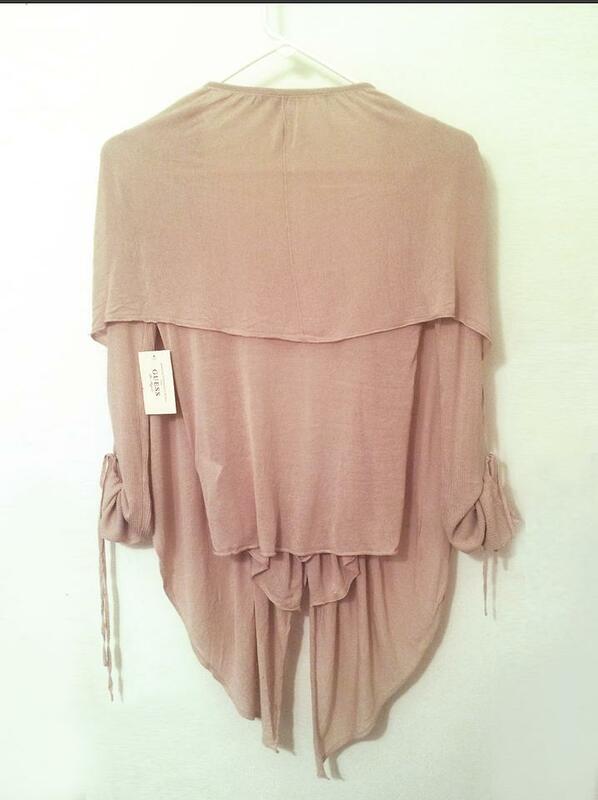 Blush/taupe colored fine gauge knit cardigan has fitted long ribbed sleeves that can convert to 3/4 sleeves. 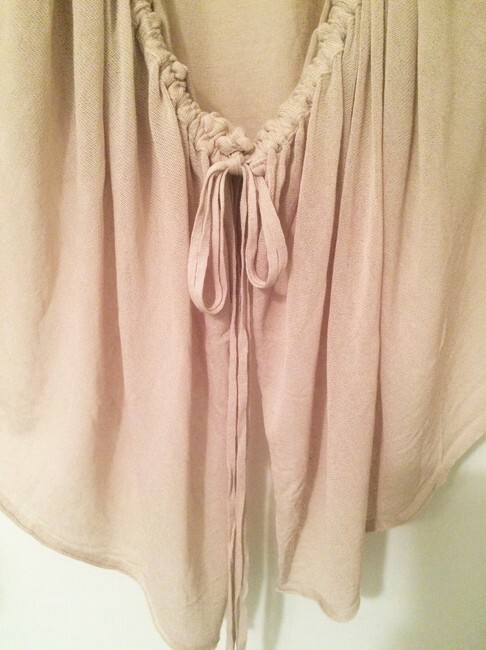 Open front can be tied closed or left open to wisp and fro. 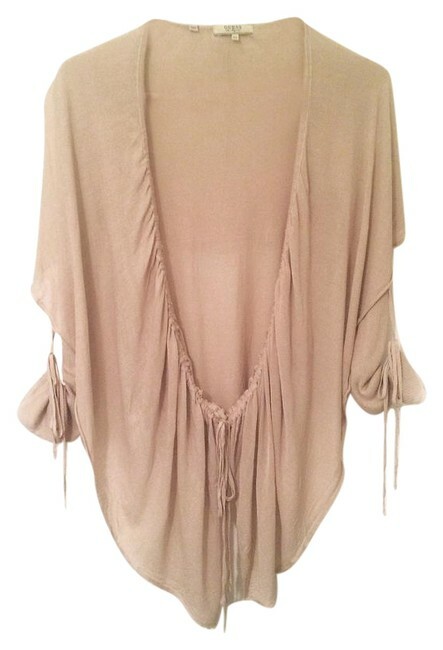 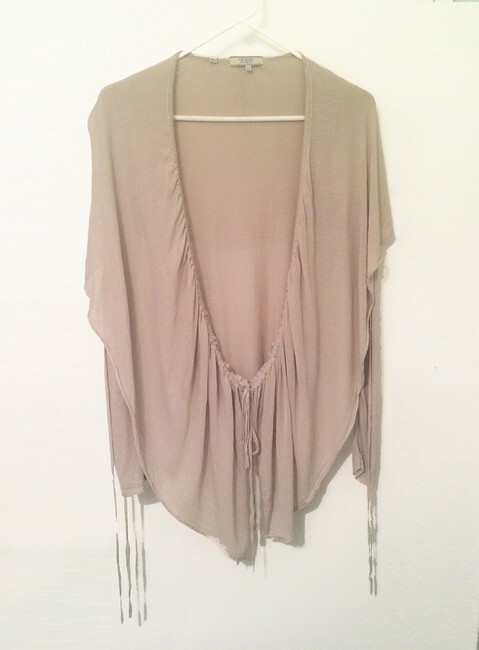 This ultra feminine top is a light-weight cardigan perfect for spring and warmer weather.